What is inclusion? This is one of the first questions I always ask my Adapted Physical Activity class. The dictionary’s definition states the act of being included. In special education this term means opportunities for students with disabilities to learn alongside typically developing peers in the general education classroom. Then again, for some, the term can bring on feelings of that constant parental guilt. Worry or guilt that they aren’t doing enough or doing the right thing. For example, that if they don’t work to have their child in the general education classroom that they aren’t doing the right thing. Even though they know their child and feel it would not be in their best interest for certain classes. No matter the IEP’s percentage of time in the general education classroom, inclusion goes well beyond the school walls. It is about individuals being viewed as a valued, accepted, and yes, included member of society. I’m not one to use popular expressions and sayings. Probably because half the time by the time I seem to be aware of them they are already going out of style. But start signing Paw Patrol, The Lion Guard, or Mickey Mouse Clubhouse song and I’m golden. Lately one of the popular sayings has been, “living my best life.” To me, this sums up and gives the best definition of inclusion. That every individual, no matter the diagnosis, has the opportunity to live their best life. It’s about me constantly working to help equip Kaleb to live his best life. As parents this can take many forms. It might be fighting with insurance for specialists, therapies, etc. For some it might include battling school districts on their child’s IEP for inclusion, supports, or therapies. For us, it’s going against the norm of Kaleb starting 3 year old preschool with others on IEPs, and instead going to an early childhood center with his typically developing peers, just like I would for my typical developing son. 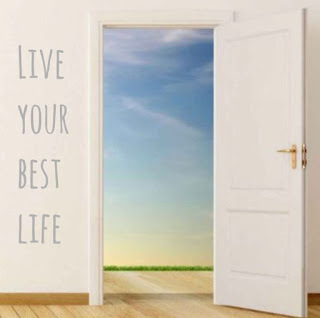 It’s all with the goal of allowing him to live his best life. Advocating for inclusion is about opening doors and opening minds. However, inclusion is not just about getting the door opened and letting the individual in the door. It’s about inviting them in to be a part of the party. Opening the door to only push my kid to the corner and make him be a wall flower, viewing life from the side, is not inclusion. He should only be a wall flower if that is what he chooses. He fights, and as parents we fight every day so that ultimately he is gets to live his best life.